Hurricanes Harvey, Irma and Maria have increased the urgency of acting to make our electricity grids more resilient. While America’s utilities have significantly improved grid reliability overall, extreme weather events, including storm surges, floods, heat storms and droughts continue to increase in intensity and frequency. In this environment, utilities, governments and other stakeholders need to take longer and deeper looks at building resilience to limit and mitigate the risks to customers. But where to begin? 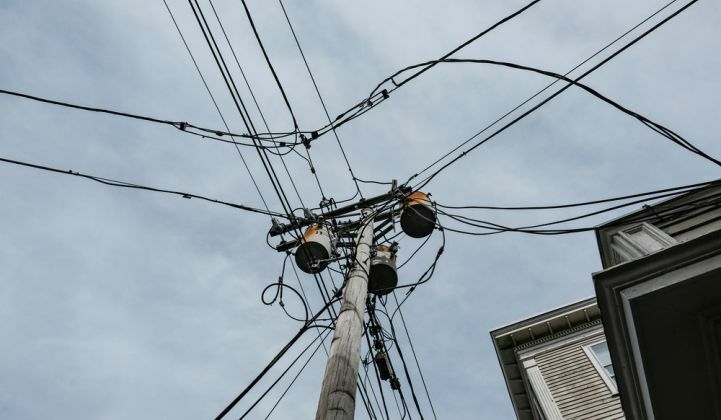 The American power grid comprises over $1 trillion in physical assets; protecting them from risks that threaten life, property and economic activity can be costly. As a leading professional services firm in American energy markets, ICF has been working with our utility and government clients to help assess and respond to these growing threats, and to find the most cost-effective paths to a more resilient grid. Our experience suggests there are four main pillars in the effort to improve our nation’s grid resilience. In recent years, utilities have begun to deploy smart grid technologies, from advanced metering at the customer level to enable automatic outage detection and service restoration, to sensors and controls on the distribution system to enable rapid detection, isolation and restoration of service at the circuit and substation levels. After an event, the data collected through these technologies can be used to find opportunities for further resilience improvements. But this modernization requires regulatory approval and time to deploy; the recent hurricanes should serve as strong signals to accelerate the pace and scale of smart grid deployment. In addition, utilities must ensure that the data and communications networks that smart grid technologies depend on are also resilient. The software side of our grid is becoming as, if not more, vulnerable as the hardware side. Solutions include increased funding and pace for advanced metering and distribution automation deployment. Flooding, high winds and extreme heat each present risks to grid integrity. Flooding can inundate key infrastructure such as substations or transformers, blacking out large areas as happened in New York City during Superstorm Sandy. High winds can down aboveground powerlines, and extreme heat can cause electricity demand to exceed system capacity. Heat can also cause high-voltage lines to sag into trees or other objects, as happened in the great Northeast blackout of 2003. While grid-hardening measures can be simple in concept, they must be resilient for the long term, taking into account future changes in sea level, storm intensity and temperatures. Solutions include raising seawalls around key assets, restoring natural coastal protections, relocating key assets, undergrounding powerlines, expanding tree-trimming programs and improved transmission line materials such as high-temperature, low-sag conductors. Extreme weather can force power outages by driving power demand past the limits of available generation resources. Damage to the distribution system also limits restoration efforts even if generation capacity is available. One strategy taken in some states, like New York and California, is to increase distributed generation (DG) resources; by increasing the number of generation sources, diversifying their fuel types, and locating them in a more distributed fashion around the service area, DG can both limit the risk of outages, and allow faster restoration of service. DG can range from utility-owned peak power generation to customer-owned emergency generators, to combined heat and power (CHP) systems and microgrids that can power a building or an entire campus. CHP and microgrid solutions can integrate with the grid to be part of its operational and resource mix, and can also “island” if need be to keep running during grid outages. DG, however, also poses challenges to utilities to fully understanding and integrating such resources into planning and operational practices. 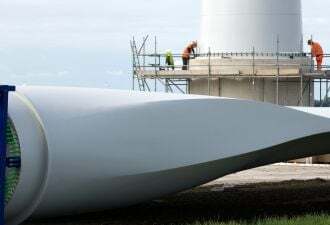 Solutions include utility-owned combustion turbines for peak power, customer-owned diesel generation, customer-owned/grid-connected CHP systems, and microgrids that may include CHP, renewable power, and other elements. 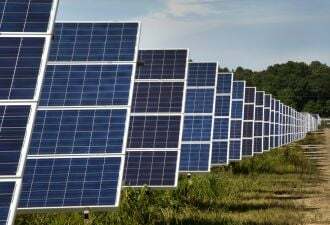 The smart grid technologies on the utility system can interact with customer devices in an internet-of-things environment, such that customer electric loads can be better managed to control customer bills while improving system reliability. Resilience on the customer side of the meter can also include better energy efficiency through thermal design in buildings, which saves customers money while also keeping buildings passively habitable under extreme weather conditions. Solutions include battery storage, internet-addressable thermostats and appliances, and a range of energy-efficient building thermal design features such as thermal insulation, efficient windows, passive solar, thermal mass and natural ventilation. How to choose among so many resilience options? Start with a consistent planning process to identify, quantify and prioritize risks and response options, using a general approach like that shown in the graphic below. ICF helped the Department of Energy develop this process as part of its 2016 guide to risk assessment for sea-level rise and storm surge. With a clear understanding of the goals for an assessment, each step in this basic sequence then needs to be fleshed out. For example, understanding hazard exposure and vulnerability to storm surges and sea-level rise may involve GIS mapping and visualization of defined critical assets, updating available maps to capture more detailed and extreme vulnerability conditions, and determining which assets are vulnerable at which hazard levels. That makes it possible to assess the benefits and costs of a portfolio of resilience measures and prioritize them accordingly. The benefits and costs should consider not only those directly felt by the utility, but also those indirectly transmitted to interconnected infrastructure and socioeconomic systems. Developing this kind of information on a concrete, well-documented basis can be critical to gaining senior management and policymaker support for implementation. How much is worth spending on resilience? Senior managers and policymakers will want to see clear and compelling evidence of the value to be realized from resilience investments. Traditional metrics used to measure the value of improvements in system reliability are not well-suited for justifying resilience investments. ICF has developed a quantitative methodology for assessing resilience benefits and costs in a simple comparative framework. It includes a practical way to visualize benefits and costs, and to find the optimal balance between resiliency and cost. The graphic below summarizes this approach. 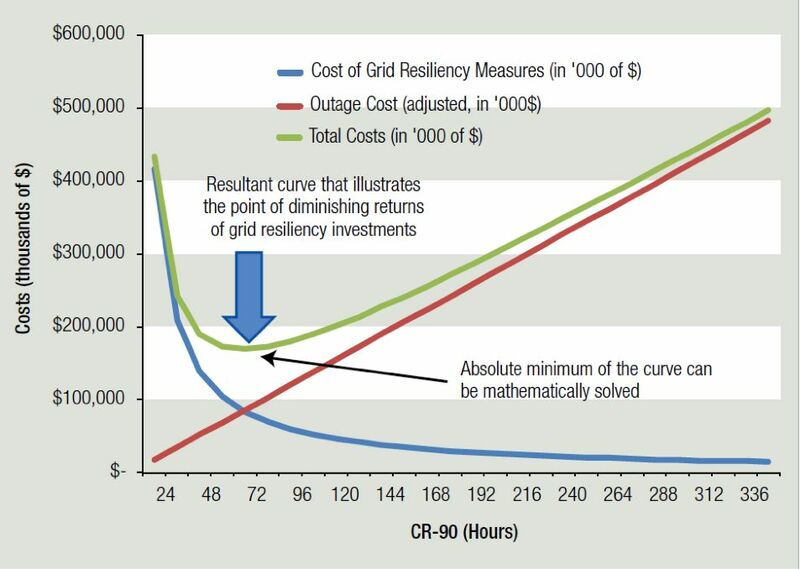 It shows for a hypothetical utility the post-outage time needed to restore service to 90 percent of customers, known in the industry as “CR-90.” In this case, the lowest total costs, from both outage and grid-hardening costs, would be about $169 million for a 65-hour CR-90 restoration time. The graph also shows that getting the CR-90 time to less than a day would cost more than twice that amount. This kind of information helps utility executives and regulators make informed decisions; if a 24-hour CR-90 time is the consensus goal, then the extra costs may be deemed acceptable in the form of higher electricity rates. Recent major weather events demonstrate the urgent need for utilities, regulators and other stakeholders to invest in a more resilient grid. We can accomplish this with today’s technologies. Though we will have to pay for this new resilience, it is eminently possible to plan for and invest in these smart technologies through a smart planning process. Philip Mihlmester is executive vice president of global energy at ICF. Anne Choate is ICF's senior vice president of climate and sustainability.